1. Determine your budget – Many couples start planning their wedding and forget to budget for all of the vendors they will need. Often times, videography gets pushed to the side when couples realize that their budget can no longer afford them a quality videographer. Deciding your budget first can alleviate this issue and allow you to have a video of your wedding day that you will cherish forever. 2. Determine your style – Whether you’re looking for a videographer who is going to make your wedding look like the next feature film at the box office or someone who is going to be candid and unobtrusive, deciding what works for you is key. It is easy to get a feel for the different styles using the different forms of social media to view a videographer’s previous work. 3. Ask Questions – Getting to know your videography team is so important! Ask questions. How will the audio be handled? What type of camera/lighting will be used? Will you coordinate with the photographer? You want a videographer that meshes well with all your other vendors and you. 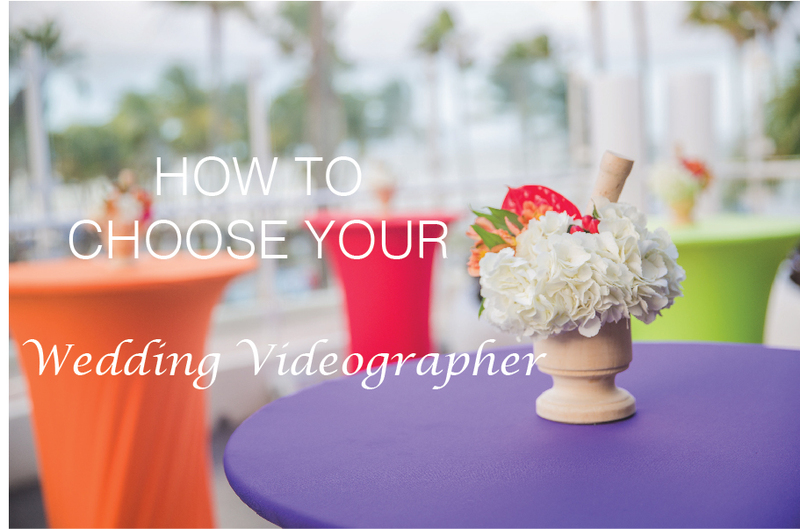 Obviously, there are more than these simple 3 steps to consider when choosing a videographer, but we believe these ideas will get you set in the right direction and make your wedding planning that much easier.